Discover the Maradiva Villas Resort & Spa, the only one of its kind on the island. It is an exclusive haven of intimacy and luxury nestled amidst 27 acres of exotic gardens. 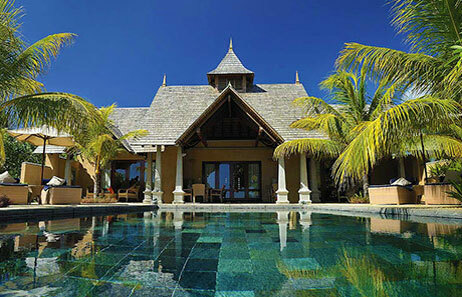 This luxury five-star resort will delight guests with the quiet opulence of its private villas. Drawing on its Indian heritage, the Maradiva experience, which includes an award-winning Holistic Spa, haute cuisine and a private pool in the grounds of every villa, is synonymous to understated elegance and impeccable service. Indulge in a blissful serenity with discreet elegance, ultimate privacy and personalized Mauritian experience. Being a rest, relaxation and rejuvenation haven, Maradiva is the ideal exclusive romantic getaway. 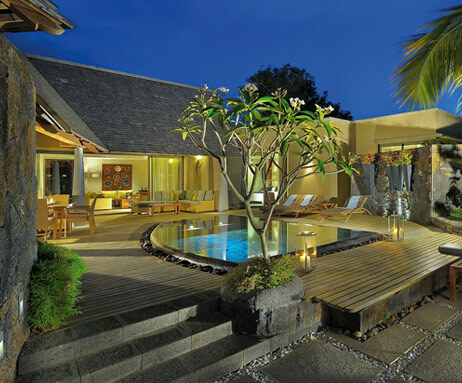 Guests are cocooned in the intimate harmony of their own air-conditioned private suite villas. The resort comprises sixty-five of them, all cosily nestled in nature along the coastline - some with an ocean view, others with a lush garden view, but all with their own private pool. 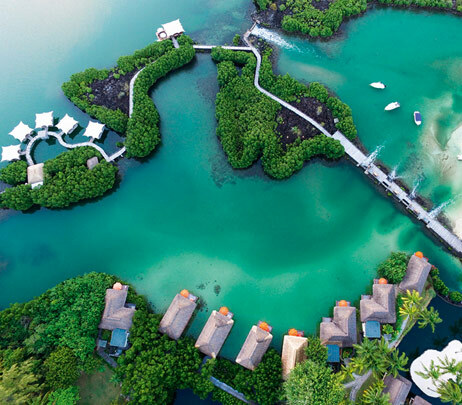 Shanti Maurice- A Nira Resort invites for a majestic escape with sights, sounds and flavours that characterizes a Mauritian culture influenced by India, Africa, France and China. Executive Chef Willibald Reinbacher believes that ingredients should be fresh and local, and that the best way to understand a destination and its culture is through its cuisine. This philosophy is reflected throughout Shanti Maurice, from the resort?s extensive herb garden and relationships with local farmersand fishermen, to the island?s boutique distillery offering its oldest and finest casks for the resort?s rum. 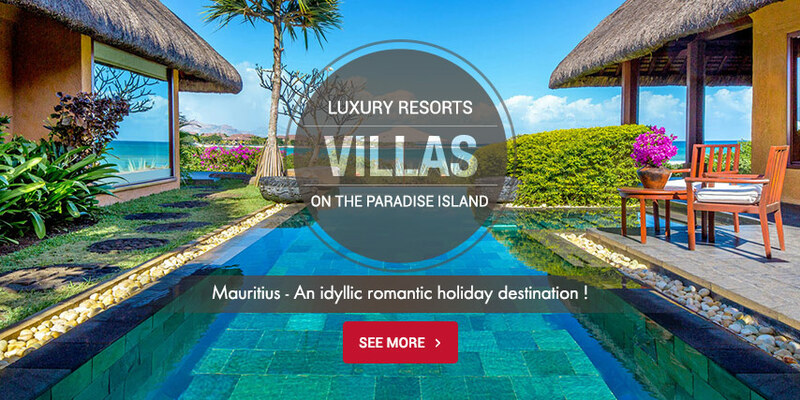 It will be your perfect luxurious retreat nestled between the lush mountains, exotic gardens and pristine white sands of the south region The hotel’s philosophy is to make you encounter and experience the authentic Mauritian culture along with stylish accommodation, sublime spa experiences and innovative cuisine. Guests who opt for a villa with a private pool can bathe in uninterrupted luxury. Villas with private gardens afford a wonderful setting for in-room dining served by a personal butler, while our luxury pavilions offering breathtaking ocean views. All accommodations feature rustic oak and natural cane furniture, wall-to-wall windows and marble bathrooms which look out onto private, walled gardens. Equipped with high speed WiFi access, an iPod dock, satellite television, an electronic safe and an espresso coffee maker, they harmonise nature, comfort and technology. Stretching along a pure white sandy beach, Trou aux Biches Resort & Spa is a tranquil tropical haven with an uncompromising commitment to excellence. Carefully spread out in the heart of tropical gardens, the 27 Villas with two or three bedrooms are an invitation to discover a world dedicated to tropical elegance. 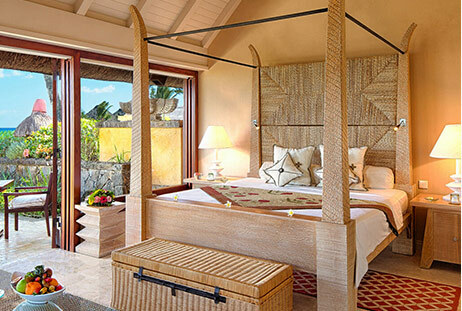 Exuding privacy, they convey a special atmosphere reminiscent of traditional Mauritian beach houses. Indulge in an exclusive dining experience with a choice of six restaurants within one single objective: the highest quality dining in Mauritius. The restaurants have been designed to make the most of the pleasant weather which prevails on the North West coast. The focus is on specialties sourced around the globe and brought to you by world-class Chefs. Cuisine also means variety, offering guests fine dining with different food styles and changing menus ensuring they are spoilt for choice every single day. Nestled along the untouched eastern coast of the verdant island nation, Trou d’Eau Douce Bay’s tranquil, uncrowded world-class beaches are found. Here, the resort offers an unrivalled standard of privacy and personalisation in an atmosphere of refined island luxury. 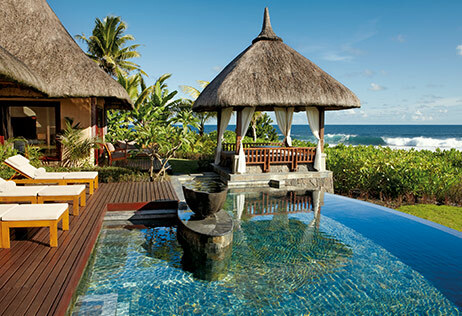 The three exclusive villas of Shangri-La’s Le Touessrok, provide guests with a personalisland sanctuary. Having undergone meticulous and thorough redesign and renovation work, the lodging sets the standard for elegant island chic with that special Shangri-La touch. Rich and tasteful furnishings have been carefully curated to complement the surrounding natural beauty and local culture. Thus, come and discover a unique place where traditions intertwine with holistic relaxation treatments and delicious cuisine. Whether you are looking for intimacy as a couple or fun for your family, stunning holidays are waiting for you.